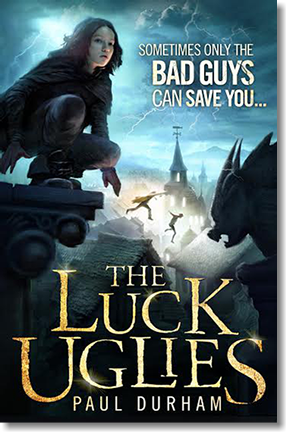 Book review: The Luck Uglies is the first book in a fantasy adventure trilogy which will be published by HarperCollins UK, this coming July. However, if you're reading this review from the US then you're very lucky as this has already been published, but with another snazzy book cover. From the very first page, the words conjure up a special moment in fantasy. There is a sense that something good is going to happen. That gut feeling pulls you into the author's magical world through every word that you read, and with every page that you breath. The pages are turned more quickly as the reader hurtles along the path revealing a world full of secrets, mystery and mayhem. There are sparks of very inventive imagination that really work for me. Written by a debut voice, this first book promises to develop into a great trilogy. 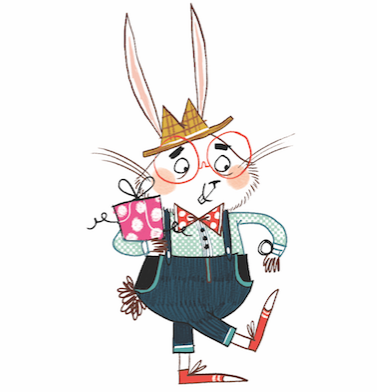 It is a middle grade adventure but I feel that everyone will love this on so many different levels. Some of the great characters feel rather real - some you will easily love whilst others you'll run screaming from, especially the Bog Noblins. However the feisty female character will leave you willing and rooting for her. I really loved this story; I was captivated by the quirky twists and turns. It brought me back to my childhood once again and reinforced that "the bad guys sometimes can be good guys". "Luck Uglies was a name whispered around the docks and the darkest taverns....." In the dark alleyways, the whisper is that this book is a cracking good read. It is definitely recommended by me. Strange things are happening in Village Drowning. Not that there’s much eleven-year-old Rye O’Chanter hasn’t already seen. Rye has grown up on Drowning’s treacherous streets—its twisted rooftops and forgotten cemeteries are her playground. But a terrifying encounter on the night of the Black Moon has Rye half-convinced that the monstrous Bog Noblins have returned from the forest Beyond the Shale. It's the same forest that mysteriously swallowed Rye’s father soon after she was born. Rye’s mother insists the Bog Noblins are extinct…but what if she’s wrong? There’s nobody left who can protect the village from the vile creatures. There was once—an exiled secret society so notorious that their name can’t be spoken out loud. Now a stranger named Harmless has stepped from the shadows, leading Rye to question everything she’s been told as she dives into Drowning’s maze of secrets, rules, and lies. What she’ll find is the truth behind Drowning’s legend of outlaws and beasts…and realize that it may take a villain to save them from the monsters. I really liked this one, too. Can't wait for the next book!